Applying for a private loan is a multi-step process that can take several weeks. Please plan accordingly. If after reviewing your financial aid package you determine you will not receive enough federal and state aid to cover your educational costs, compare private loan lenders. You can access our preferred lenders using the ElmSelect list. Please note that you are in no way limited to selecting a lender from this list and will suffer no penalty from selecting a lender not on our list. Determine which lender you would like to use, and secure a cosigner (if needed). Apply through the lender’s website or via telephone. This process will require you to submit documentation and sign off on disclosures. The length of this process varies depending on which lender you select and is often dictated by how quickly you supply the lender with the required documentation. Students are encouraged to follow-up with their lender to ensure all required documents have been received. Complete the Self-Certification Form (typically provided by the lender). Buffalo State will receive notification electronically that your private loan was approved. Length of Time: Approximately 1-2 business days from when the loan was approved. Buffalo State will certify the loan and add it to your award package. The loan can be used as a deferment on your student bill. Length of Time: Approximately 1-3 business days. Your loan will disburse to Buffalo State after the mandatory rescission period. The mandatory rescission period is at least 8 business days, though some lenders will not disburse funds for up to 10 business days.  Buffalo State does not disburse funds prior to the start of a semester.